"A Solid Introduction to Fashion and Image Principles"
A very good foundational examination of the principles of fashion and image as they apply to attracting women and projecting an attractive image. The book will add a lot of value for beginners and those whose fashion/ image skillset is largely undeveloped. The bible is limited in its knowledge to beginner to intermediate level image and fashion principles. The more sophisticated and attractive points of image and fashion are left unaddressed. 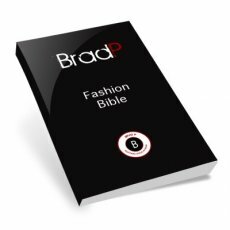 As a consequence this book is not recommended for intermediate or advanced users who already have a foundation understanding of fashion and image as it applies to attracting females. The book also contains some 'bias' in some of the specific views of current fashion based on the author's own style. As a consequence some readers may find it more challenging to implement if they are not based in the U.S. This was a pretty good fashion and style book, if short. We used to recommend it, as it was the best we had found on the market - and good value for money. However, a newer and better course has been released that we now recommend: Check out Seduce with Style as the best fashion and style advice we've found to date. The first impression - the formatting of this book is clean and professional - it's pretty well packaged. The tips and principles found in the book establish a good base point to start from for the beginner or someone who hasn't developed his fashion/ image skillset yet. Importantly, the book's first three chapters address the issue of the obstacles to men developing their fashion and image. It provides guidelines on the errors of socialized mindsets and the attractive mindsets as they relate to image and fashion. This is valuable since it is what holds most people back from developing their image skillset (particularly beginners to dating advice). The book contains many pictures to illustrate its points which is essential for understanding the points made and implementing them. The principles established in the book are also not complicated, which should enable any beginner to apply them just by making the effort. On the downside, whilst the author obviously spent a lot of time selecting illustrative pictures, mostly they don't go far enough in illustrating what good should look like with respect to a point he is making. They don't contrast enough with the 'bad' examples given to illustrate the point really well. This reflects the limitation of him using web-based photos rather than having used his own 'models' to directly implement/ demonstrate the desired clothing and image principles. This 'issue' would mostly affect intermediate to advanced daters, who have some fashion/ image sense, and would need to see the 'good' clearly to take it to the next level. On the whole the book's advice is still relatively easy to implement despite the weakness above. There is little original content in this book, about 70% is based on fashion and image tips that pick up artists have established over time. However it was the first product to bring these principles into one place for people to learn from. The frameworks Brad P. applies add some additional knowledge and value to the original knowledge base. Overall the book is a good source of aggregated 'knowledge' and Brad P. explains at a more detailed and subtle level some of the concepts traditionally used. In the past we recommended this as the best fashion book we had found - although it wasn't ideal. More recently we reviewed Seduce with Style, and now recommend it, as a much more comprehensive guide to style and developing an attractive fashion sense.